The subsequent ownership of Boyt's Farm is not known. It seems likely that Hobbs sold to W G Salmon (John Salmon, Esq. had been the Lord of the Manor of Itchington in 1839). 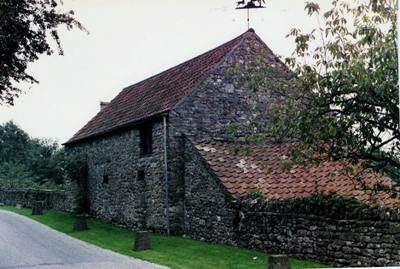 Salmon sold part of Boyt's Farm in 1884 to H L Hardwicke, who completed the purchase in 1904. Hobbs's tenant in 1839 was John Sainsbury, who had married a widow Mary Pullen in 1810. (Their son John farmed Edwards Farm, 126 acres, for 20 years). Mary died in 1843; John, helped by his farm servant Thomas Ovens, and a dairymaid, continued the tenancy until he died, aged 83, in 1856. No doubt the farm, of no more than eleven acres, had been run in the later years by Thomas Ovens, and he it was who took over the tenancy, increasing the acreage to 20. Well on in life he had taken a wife, a Thornbury woman several years his senior. When she died in 1882, he may well have decided to give up the farm. Jephunneh Boyt, youngest son of George Boyt senior, married Julia Andrews in 1881 and took the tenancy of Boyt's Farm; they lived here for 20 years and more, bringing up six children, but Jephunneh could not cope with the difficulties of agriculture at this period and committed suicide. This was perhaps the opportunity for Squire Hardwicke to complete his purchase of Boyt's Farm, which he retained until his death in 1935. 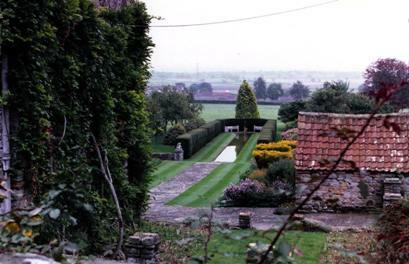 The property did not reach its reserve of £350 at the estate sale but was subsequently acquired by the late Mr Donald Gibbon. 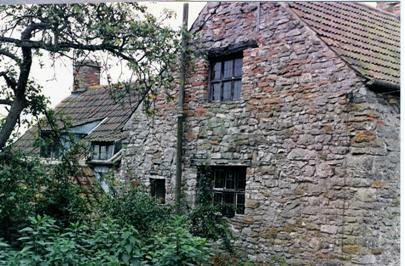 Meanwhile, the dwelling had a succession of occupants: Miss Florence Smith, poultry farmer, in 1914; Thomas Tavender, 'poultry farmer', 1919 (so described in Kelly, but in fact he is remembered as a stone-breaker or `snopper', breaking up stones for use as road-metal in the old quarry opposite Bishop's Farm); Fred Tavender his son (Kelly 1925, 1931), smallholder; and - up to the sale of the property - W A Matthews, smallholder. In the Sale Particulars, the dwelling is described as containing 'three bedrooms, front sitting room, kitchen, back sitting room, and Dairy with Cider Cellar adjoining'. 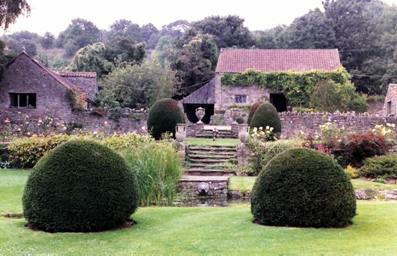 Mr Gibbon extensively restored and altered the house and had a beautiful garden constructed. It must have been a dwelling of some quality in 16th century, degenerated somewhat in the 19th and early 20th centuries, but has now been restored to its position as one of the parish's most interesting buildings. 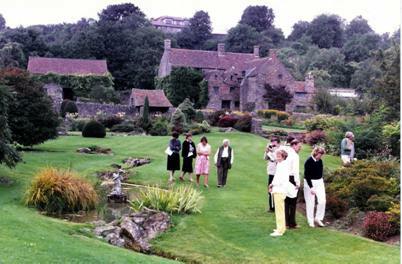 The pictures below of Boyt's Farm were taken in 1990, click on them to enlarge.